Tomtop are currently running a promo on Zeblaze’s full range of smartwatches. Prices are decent, starting at $39.99 for the Zeblaze Crystal up to $54.99 for the Zeblaze Cosmo. All the watches offer Android and iOS compatibility, and include various features including fitness tracking and heartrate monitors. Just note that both the Cosmo and Miniwear use higher resolution IPS displays resulting in a much more pleasant experience. I’ve reviewed both the Zeblaze Crystal and Zeblaze Cosmo and found both to be excellent smartwatches. They have their quirks but they pack an impressive amount of functionality into their frames. I often wear my Cosmo as it’s such a nice watch. 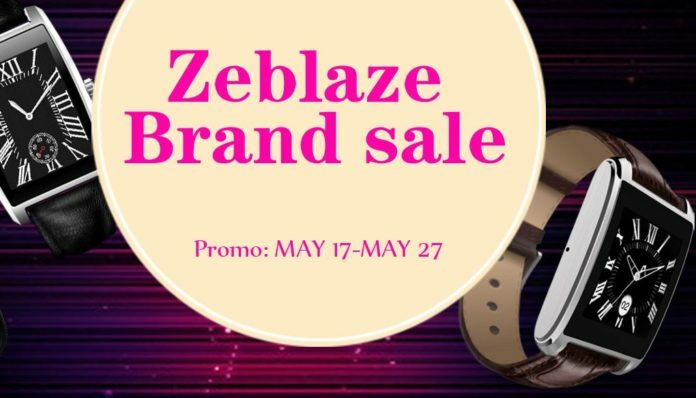 If you’re interested in grabbing one of Zeblaze’s smartwatches, check out the sale.